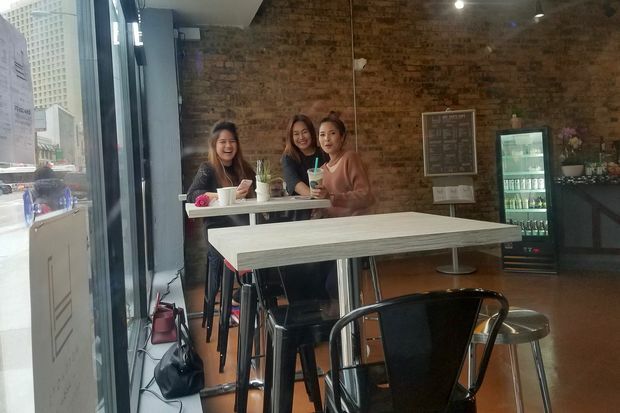 WICKER PARK — A Milwaukee Avenue cafe specializing in fruit smoothies and juices, specialty coffee drinks and bubble teas has opened around the corner from the CTA Blue Line Division "L" station in Wicker Park. Underway since last March, the 30-seat Hot Shots Cafe at 1242 N. Milwaukee Ave. opened last Friday, according to owner Yothin "Joe" Yiamyothin. Yiamyothin, an investor in the nearby Nori Sushi restaurant chain, said he selected the storefront because of its proximity to the Division stop around the corner. "I like this spot, it's a good location," Yiamyothin said. The cafe also offers free Wi-Fi. Espresso and drip Nitro coffee from Metropolis are available, in addition to an extensive menu that also includes salads, wraps and spring rolls. Hot Shots Cafe, 1242 N. Milwaukee Ave. Hours are 6:30 a.m.- 8 p.m. Monday-Friday and 7 a.m.- 8 p.m. Saturday-Sunday. Ph. 872-802-4650.